We supply catering equipment to pubs, clubs, hotels, schools, colleges and for outdoor events. Our major clients include prestigious names such as Green King, and the USAF. Here at TGS Gas Services Ltd, we understand the concept of customer satisfaction.We rely on customer recommendations to build our business, so you can bet we are never happy with our services until you are. 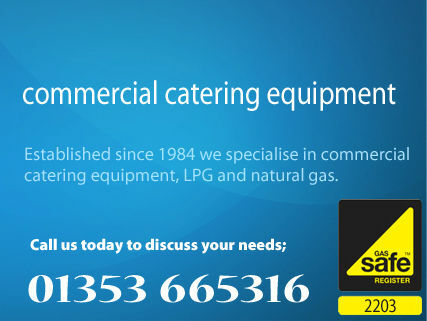 So for catering equipment supply and installation, call the experts, TGS Gas Services.